Why spend money on bouquets when you can grow your own? 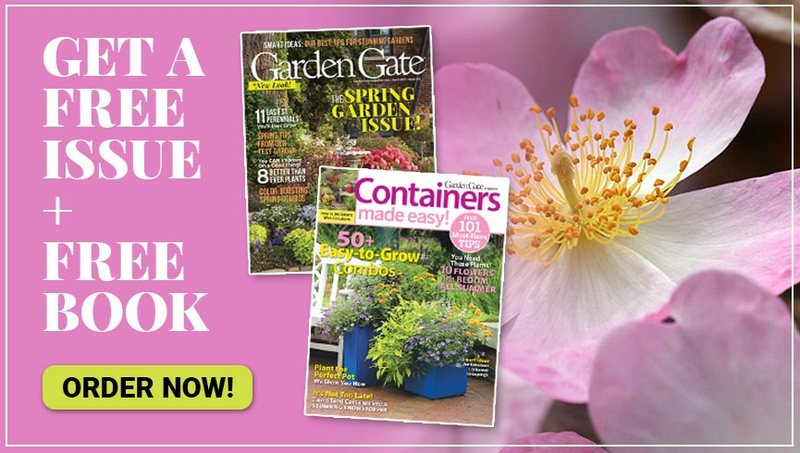 Learn how to grow a spring cutting garden and you can surround yourself with cheerful flowers, indoors and out! You’ve waited all winter so cherish your spring garden before it comes and goes too quickly. When you grow a cut flower garden that blooms in the spring, you’ll have enough flowers to fill your beds and borders outside, your vases inside — and maybe even the homes of your friends and neighbors. 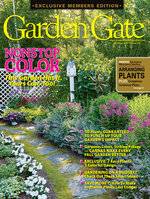 Here is some important info to help you grow and harvest your best cut flower garden. 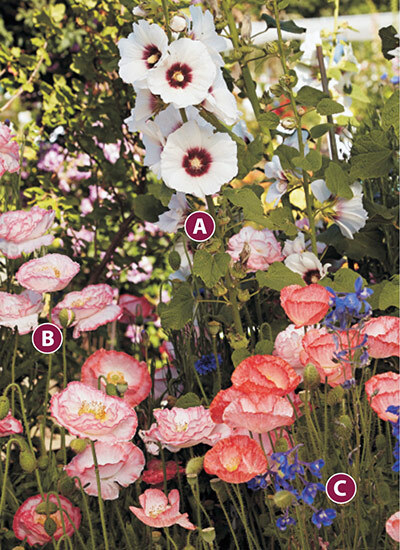 Then scroll down to the bottom of the page for three plant combos perfect for creating dreamy spring (and summer) cutting gardens. Design the garden the same way you would design an arrangement of cut flowers. 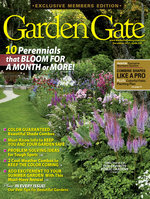 Use tall blooming flowers in the center of the bed or in the back if planting in a border. 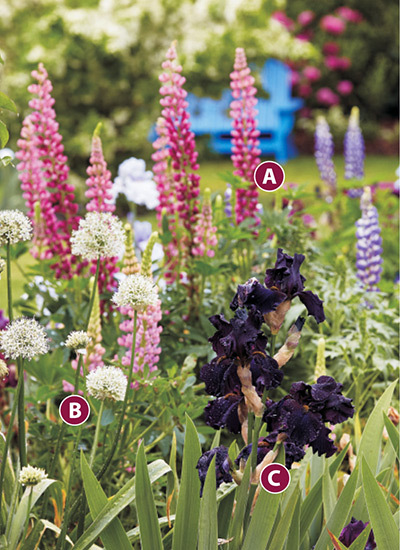 To contrast the vertical shape of the flower spikes, surround the tall plants with round, solid-shaped bloomers, such as the scabiosa, allium and corn poppy in the photos below. This way every bloom gets a chance to show off their alluring beauty — and practice for their role in the vase. 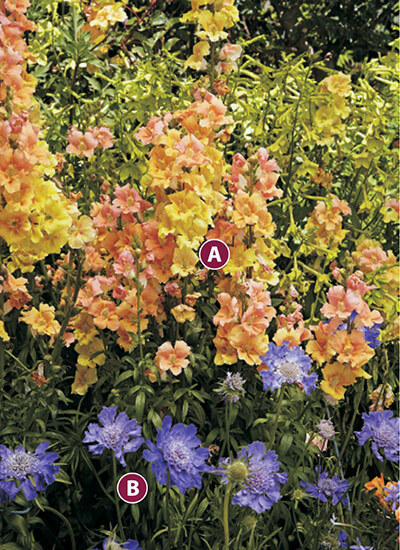 If you’re hesitant to clip your blossoms for fear of leaving your garden bare, know that cutting many of these plants — corn poppies, delphiniums, snapdragon and lupines — will encourage more blooms to form. Harvest flowers in the morning when temperatures are cool. Bring a bucket of lukewarm water and a clean, sharp cutting tool to the garden with you. For stems with multiple flowers, make sure at least one bud is showing color and close to blooming; for stems with one flower, cut when the flower is just barely in bloom. Immerse the cut ends into the bucket right away. Before arranging, cut the stems again, but this time under water and at a 45-degree angle. 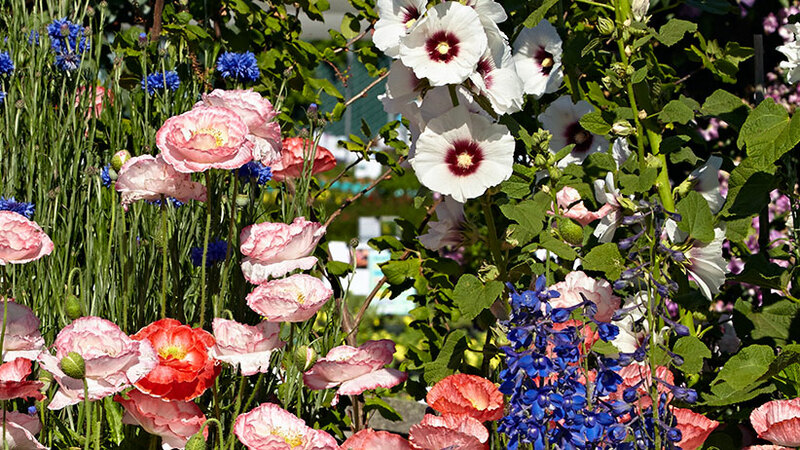 For flowers with hollow stems, such as hollyhocks, delphiniums and lupines, turn the cut stems upside down, fill with water, and plug the end with a piece of cotton ball to ensure water reaches the top. Be careful with dark shades of iris as their blooms can drip from the arrangement and stain countertops and tablecloths. Cut snapdragons early in the morning when they are most fragrant! When using long stems with multiple blossoms, make sure the stem is at least 1½ - 2 times the height of the vase to keep proportions pleasing. Some flowers, like hollyhocks and corn poppies, ooze a sappy substance that can inhibit water intake. Cauterize the bottoms of these stems by holding them in boiling water for 10 to 20 seconds or over a flame until ends are no longer seeping.